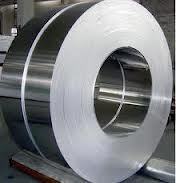 We are a leading Manufacturer of hot rolled stainless steel coils, hot rolled coil, stainless steel coils, mild steel coils, ss 304 grade uns s30400 coils and ss 304l grade uns s30403 coils from Mumbai, India. 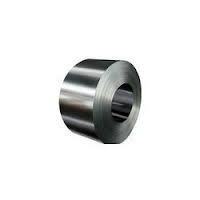 304, 304L, 316, 316L, 321, 310, 310S, 201, 202, 301, 904L, 409, 410, 420, 430, 431, etc., and other grades as per requirement of the customer. We are offering our esteemed clients with a qualitative range of Hot Rolled Coils that complies with highest industry standards. These are offered available in various specifications to meet growing demands and varying needs of the varied industries. Our range is manufactured using highest quality steel and is superior in performance as well as available in the custom built thickness and width. We are one of the renowned names in the industry that offers an unmatched range of Stainless Steel Coils. These are manufactured using premium grades of steel and in varied specifications. We comply with the prevailing industry standards and offer our clients coils that are dimensionally accurate along with high tensile strength. Our range is also made available in customized specifications as per the clients’ requirements. 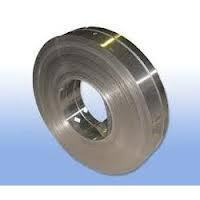 Our clients can avail from us a qualitative range of Mild Steel Coils. These are offered in accordance with the set industry standards and manufactured using premium grades of steel. Our personnel process these steel coils in our state-of-the-art manufacturing unit using precision engineering techniques and offer them in varied specifications. We also customize these mild steel coils as per the requirements of our clients and offer them at competitive prices. One of the most versatile and commonly used stainless steels on the market, SS 304 Grade UNS S30400 Coils is the most standard used alloy of this type. 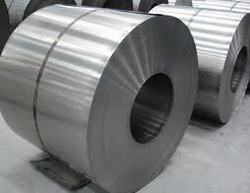 Essentially, SS 304 Grade UNS S30400 Coils is an austenitic chromium alloy which is also known as an "18/8" stainless as the make-up of the steel is 18% chromium and 8% nickel. The chromium content promotes the material's considerable resistance to the effects of corrosion and oxidation. The stainless steel alloy resists most oxidizing acids and will withstand ordinary rusting though this does not mean that the steel will not tarnish over time. The steel needs to be cold worked to generate higher tensile strength. For stainless steel sections which are welded heavily, post-weld annealing may be necessary to provide maximum corrosive resistance. SS 304 Grade UNS S30400 Coils has excellent welding and deep drawing characteristics:- it is easy to fabricate, easy to clean and aesthetically pleasing to the eye. The steel is common throughout industry particularly in food processing as the material is not susceptible to corrosion from acids found in common foodstuffs. As a consequence, such steel is ideal for items such as sinks, work surfaces, preparation areas and refrigerators. It is also a perfect material for use in the pharmaceutical industry for environments such as clean rooms. Grade 304 can also be found in heat exchangers, chemical containers, pipelines and throughout the brewing industry. It can be used as a fabricated material where high temperature petroleum gases or steam production gases are stored such as pressure vessels. It can even be found extensively in the construction industry where the material is used for cosmetic purposes such as a building fascias. 304 & 304L plate and pipes have similar properties and in certain cases are stocked with Dual Certification, where it is concluded that each item has properties and a composition which comply with both steel types. Grade 304H cannot be included in this equation due to the steel's higher carbon content which is intended for use in elevated temperature applications. As a major global steel stockholder, Aesteiron Ltd can supply you with high quality Grade 304 stainless steel plate to any worldwide destination – contact us and discover what Aesteiron can do for you. Type SS 304L Grade UNS S30403 Coils is a lower carbon variant of Grade 304 – the steel can be welded without the resulting issue of carbon precipitation (precipitation of chromium carbide as heat is applied during the welding process which depletes the chromium element of the steel thus reducing its anti-corrosive/oxidation effectiveness). This SS 304L Grade UNS S30403 Coils is found in a variety of commercial sectors, particularly in the chemical industry. After 304, this is the most common stainless steel on the market. Again SS 316 Grade UNS S31600 Coils is an austenitic grade with the addition of 2–3% molybdenum which further improves corrosion resistance. 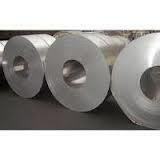 SS 316 Grade UNS S31600 Coils is often referred to as a marine grade stainless steel because of its effective resistance to chloride corrosion in comparison to other stainless steel grades. The material has superior welding and forming qualities. Grade 316 will require post-weld annealing to promote maximum corrosion resistance, though this is not necessary if Type 316L is used. 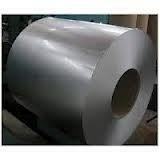 The steel was initially produced for the paper producing industry as it has been shown to be highly resistant to the sulphur compounds used in paper processing. Typical applications for this material are now widespread due to its superior corrosion resistance properties when compared to Grade 304. Type 316 stainless can be found in heat exchangers, pharmaceutical equipment, dairies and breweries, marine fittings, coastal architectural fascia and fittings and in food preparation areas. For more information about the benefits of utilizing type 316 stainless steel alloy and for price and sizes, please contact Aesteiron Steel Ltd today. 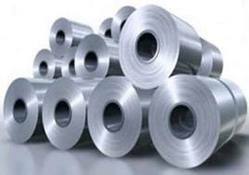 Type SS 316L Grade UNS S31600 Coils is the low carbon version of 316 stainless. With the addition of molybdenum, the SS 316L Grade UNS S31600 Coils is popular for use in severe corrosion environments due to the materials immunity from boundary carbide precipitation (sensitization). SS 316L Grade UNS S31600 Coils is widely used in heavy gauge welded components and weld annealing is only required where the SS 316L Grade UNS S31600 Coils is for use in high stress environments. SS 316L Grade UNS S31600 Coils has an extensive variety of uses especially in marine applications due to the materials high corrosion resistance. SS 321 Grade UNS S32100 Coils is a standard austenitic 18/8 chromium nickel alloy with the addition of Titanium making it an excellent choice in elevated temperature environments. The titanium stabilizes the SS 321 Grade UNS S32100 Coils removing its susceptibility to the effects of inter granular corrosion. 321 is therefore the stainless steel material of choice for applications in working environments up to 900° C.
A drawback of Type 321 is that the titanium does not transfer well across a high temperature arc, so it is not recommended as a welding consumable. In such instances, 347 is the preferred choice as the Niobium performs the same function as Titanium but can be still transferred across a high temperature arc. Type 347 is therefore the consumable of choice for welding Grade 321. The steel has excellent forming and welding qualities and excellent toughness even at cryogenic temperatures. If you are looking for a stainless steel to provide resistance to intergranular corrosion, 304L is the normal choice as it is a more commonly used and supplied steel. However, 321 is a much better option in operating temperature environments in excess of 500° C and therefore has its own merits. Note that Type 321 does not polish well so it is not practical to use this material as cosmetic architectural feature. To find out more about 321 stainless steel, contact Aesteiron Steel today. A comprehensive range of steel sheet is manufactured by us which is made as per the requirement specifications given by the clients. Designed with high precision these SS 309 Grade UNS S30900 Coils are engineered with premium quality stainless steel of type 309S/310S grade. Specifying all the industrial standards, these SS 309 Grade UNS S30900 Coils are offered in various forms like round, square, rectangular coil & U-shape. Form: Round, Square, Rectangular, Coil, 'U' Shape, Pan Cake. Length: Single Random, Double Random & Required Length. Alloy 310/310S (UNS S31000/S31008) austenitic stainless steel pipe is typically used for elevated temperature applications. Its high chromium and nickel content provides comparable corrosion resistance, superior resistance to oxidation, and the retention of a larger fraction of room temperature strength than the common austenitic Alloy 304.Stainless Steel 310/310S is an austenitic heat resisting alloy with excellent resistance to oxidation under mildly cyclic conditions to 2100ºF. Its high chromium and nickel contents provide comparable corrosion resistance, superior resistance to oxidation and the retention of a larger fraction of room temperature strength. Typical Applications Grade 310/310S is used in fluidized bed combustors, kilns, radiant tubes, tube hangers for petroleum refining and steam boilers, coal gasifier internal components, lead pots, thermowells, refractory anchor bolts, burners and combustion chambers, retorts, muffles, annealing covers, staggers, food processing equipment, cryogenic structures. Alloy SS 310S Grade UNS S31008 Coils austenitic stainless steel pipe is typically used for elevated temperature applications. Its high chromium and nickel content provides comparable corrosion resistance, superior resistance to oxidation, and the retention of a larger fraction of room temperature strength than the common austenitic Alloy 304. SS 310S Grade UNS S31008 Coils is an austenitic heat resisting alloy with excellent resistance to oxidation under mildly cyclic conditions to 2100ºF. Its high chromium and nickel contents provide comparable corrosion resistance, superior resistance to oxidation and the retention of a larger fraction of room temperature strength. 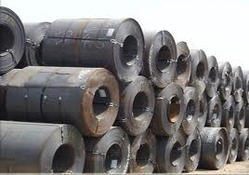 Typical Applications Grade SS 310S Grade UNS S31008 Coils is used in fluidized bed combustors, kilns, radiant tubes, tube hangers for petroleum refining and steam boilers, coal gasifier internal components, lead pots, thermowells, refractory anchor bolts, burners and combustion chambers, retorts, muffles, annealing covers, staggers, food processing equipment, cryogenic structures. Alloys 316TI (1.4571) Similar to Grade 316L except that 316TI has better high temperature strength, and mechanical strength. SS 316TI Grade Coils is used for equipment exposed to aggressive corrosive conditions and high temperature applications,including automotive flexible connectors, welded bellows, chimney liners, and flexible ducting. SS 316TI Grade Coils has been traditionally specified by German engineers and users with the Workstation number 1.4571.The former steel grade in the UK was 320S31. The presence of titanium to 1.4571 does, however, give some improvements to mechanical strength, especially, at elevated temperatures above about 600 C. and care must therefore be exercised in selecting 1.4404 as a substitute under these conditions. The 1.4571 may however have inferior impact properties at ambient temperatures, compared to the 1.4404 / 1.4432 types. There is also some evidence that the 1.4571 type may have inferior pitting and stress corrosion cracking resistance, compared to the 1.4404 / 1.4432 types, although the general corrosion resistance can be assumed to be generally similar. The titanium stabilized 1.4571 grade may also be prone to 'knife line attack' in the heat-affected zones of welds, very close to the fusion zone where the carbo-nitrides have redissolved in the solid steel matrix. 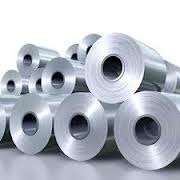 347 stainless steel is variant of the basic austenitic 18/8 Grade 304 with added Columbium – the introduction of Columbium stabilizes the steel and eliminates carbide precipitation which subsequently causes intergranular corrosion. SS 347 Grade UNS S34700 Coils has excellent forming and welding qualities and excellent toughness even at cryogenic temperatures. 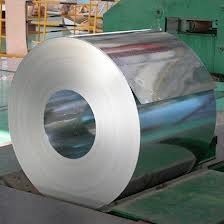 Looking for Stainless Steel Coils ?